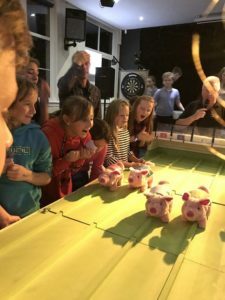 Thanks to everyone who attended or supported the pig racing night. Over 80 people came on the night. The venue was great and as usual the pigs gave it their all. We raised a total of £694 for club funds – a fantastic achievement!